Free and available now for iOS and Android. It's been several months since the networking giant Cloudflare showed the DNS service 1.1.1.1 that focuses on privacy, readily available to consumers. Now the application is available for free for Apple devices and Android. The app offers essentially two features: one is that the app makes it harder for ISPs to control your mobile browsing and the other is that the app introduces performance improvement in areas where the connections are not particularly good at first. Cloudflare promises a faster and more private browsing experience. 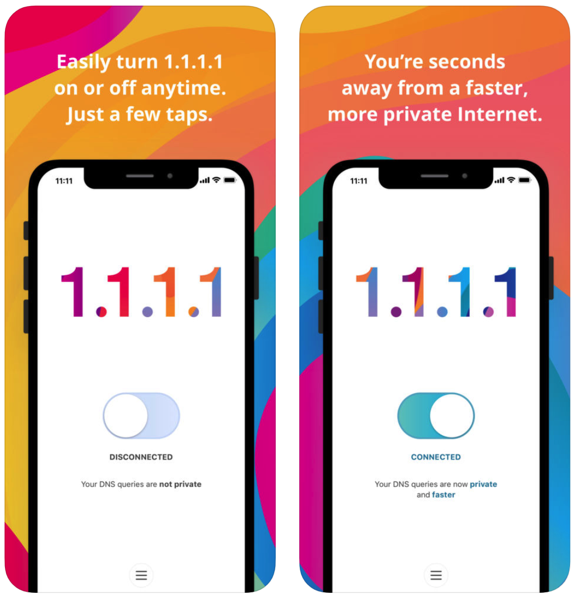 With the 1.1.1.1 app, there is only one switch on and off, and the entire service is based on making it more difficult for Internet service providers to track your traffic and block websites. You can download the app for iOS here and for Android here.